ECE R90 for brake discs and drums takes effect. Valid for car models released into the market from November 2016 onwards. For all car models launched into the market after 1 November 2016, brake discs and drums have to fulfil the standards of ECE R90. “As one of the world’s leading premium manufacturers of brake technology, we are very happy that the legislator has set a minimum market standard with regard to brake security and product quality. We hope that this will make it more difficult for counterfeit, low-quality brake products to make their way into the market, and thus cause a decline in driving safety”, explains Category Manager Patrick Baßiere. TMD Friction has been performing sophisticated examinations and tests for a number of years, not just relating to the safety aspects of the ECE R90 standard, but also the comfort level and quality of its products. For example, on top of the statutory minimum tests, brake pads are also examined for moisture sensitivity, behaviour in salt water and in demanding downhill stretches. “Our in-house testing facilities and day-to-day experience during new original equipment projects, ensures that we are also able to provide the optimum product for the independent aftermarket, even in light of constantly increasing market demands,” says Marco Loth, Executive Director Marketing. 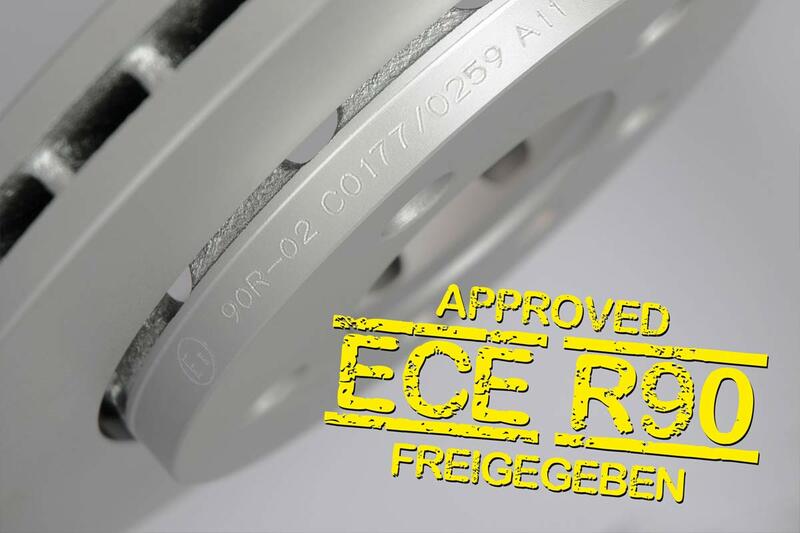 This high standard of quality has also been officially confirmed for brake discs and drums thanks to the ECE seal of approval. That is why TMD Friction is working closely with technical test organisations. As a result, TÜV Nord for brake-disc examinations is always present on site to oversee the tests on TMD Friction dynamometers. The extensive range of products is gradually being sealed with the relevant ECE stamp. Important for workshops: The binding effect of the ECE R90 for brake discs and drums applies to car models that were launched into the market as of 1 November 2016. Photo: Copyright TMD Friction, 2016. Free reprinting permitted as long as the source is quoted. Please send us a specimen copy.